Video Of The Day: Do We Really Have Free Will? 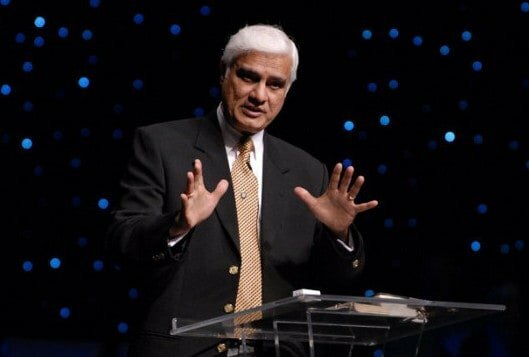 Ravi Zacharias is an Indian-born Canadian-American Christian apologist who often speaks at universities taking Q&A sessions on religious issues. When asked by a student how we can have free will, if God knows everything and our choices are pre-determined, Ravi provided a compelling answer…. Watch the video below, which has been viewed by over 3-million people, and be inspired by his answer to this complex issue. “How do we have freewill, If God is this omniscient being that knows everything about us, everything we will do, and pretty much knows our outcome before we were even created?” the student asks… “Then he creates us knowing pretty much everything we will do, since we can’t surprise him by our actions, we have no free will, out choices are pre-determined then the act of judgement is completely immoral because he knows what we are going to do because nothing surprises him? Ravi is also the author of numerous books, including Can Man Live Without God? and is the host of Let My People Think on GOD TV.